It is the policy of the University to provide bulletin boards of other types of notice boards throughout its buildings to allow sufficient space for the posting of temporary signs and notices concerning University academic, non-academic, and student activities. 2.01 The installation of bulletin boards is the responsibility of the Physical Resources and shall be limited to a height of 32 inches from the floor to the bottom of the board. 2.02 Bulletin boards may be assigned by the Dean of the Faculty in which the bulletin board is located. New bulletin boards may be requested by Deans from the Physical Resources. 2.03 It is the responsibility of the individual, department, or organization to whom the bulletin board is assigned to maintain the board properly. 2.04 Bulletin boards which are designated for a specific use or user are reserved for the purpose indicated; all other posters, notices, and signs may be removed. 3.01 The development, revision, and publicizing of regulations concerning temporary signs and notices, often referred to as posters and banners, is the responsibility of the Dean of Students. These regulations will cover all aspects of the use of posters and banners including their location, number, size, content, and authorization. 3.02 With the exception of the Residences and the Athletic Complex, posters and banners displayed in all other University buildings must be authorized by the Dean of Students office. Posters and banners displayed in the Residences and the Athletic Complex must be authorized by the Manager of Residential Services & Housing Office and the Athletic Complex office respectively. Posters and banners without appropriate authorization are removed by the Office of the Dean of Students. 3.03 No posters or banners are permitted in the Library Building. 3.04 All notices, posters, banners, and advertisements must conform to the University's Style Guide. The President or delegate reserves the right to have any notice, poster, or banner considered to be objectionable removed. 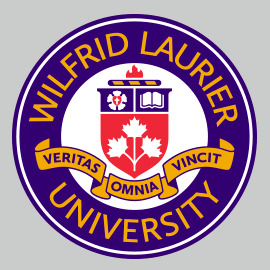 3.05 Organizations wishing to display posters or banners must be affiliated with or sponsored by a campus group recognized by WLUSU and/or the University. The particular campus group must be clearly indicated on the poster or banner. 3.06 Only the words "licensed under the L.L.B.O." may be used to indicate that alcoholic beverages will be available at an event.